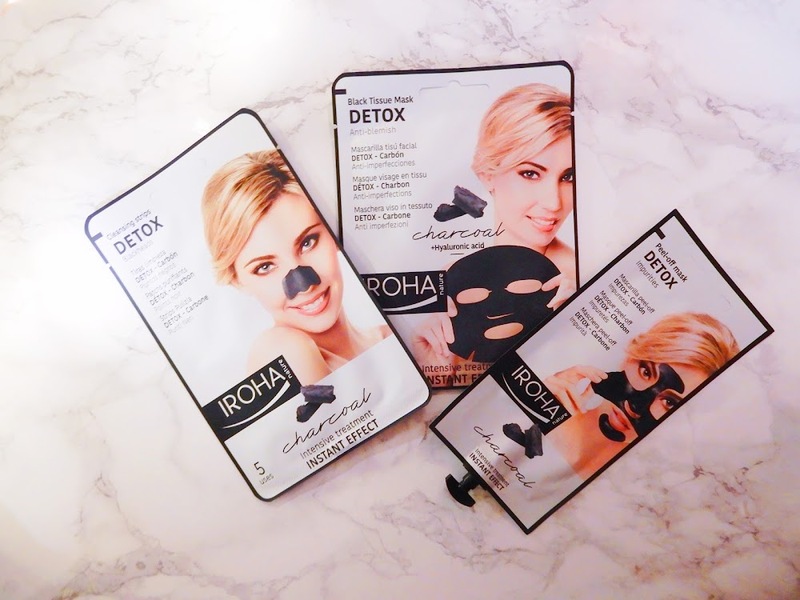 A couple of months ago I was sent some products from IROHA Nature who are a face mask company that only use natural ingredients in their products. 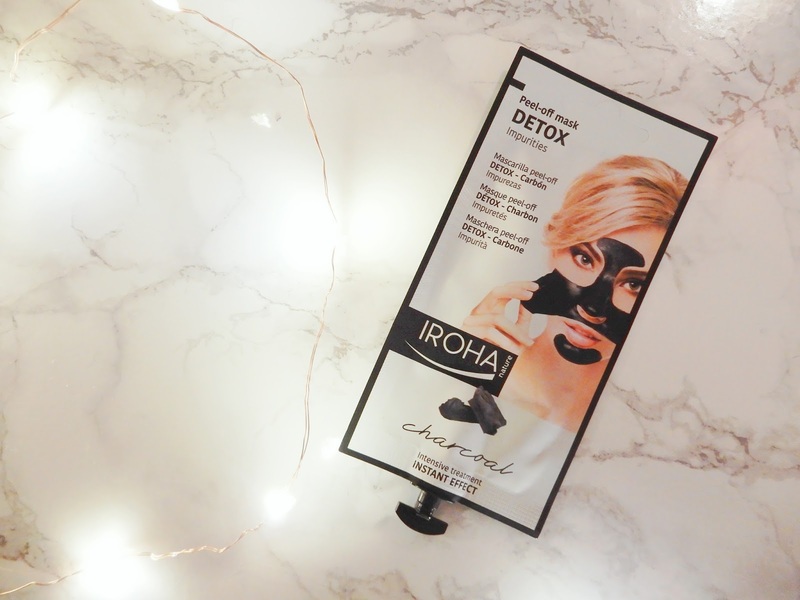 I was sent three of their facial treatments from the DETOX Charcoal range and I was very excited to try them out. 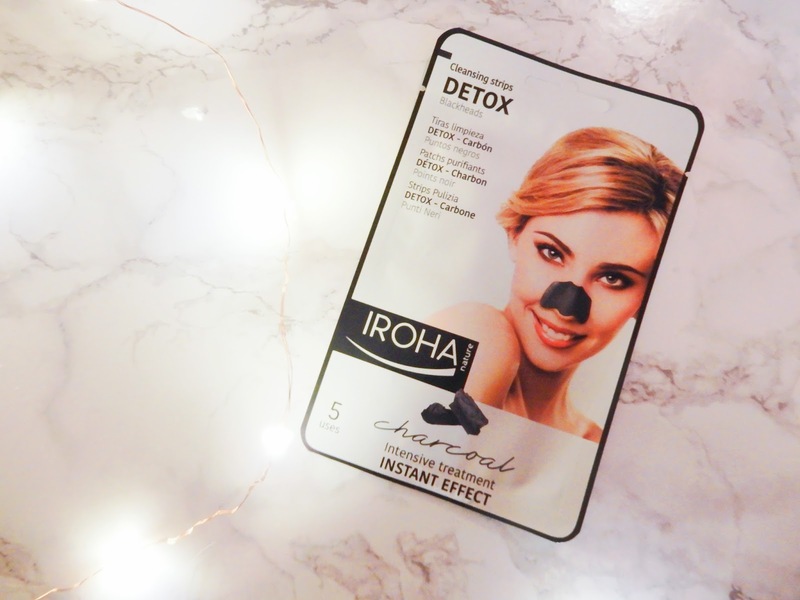 IROHA Nature is available at Boots so you don't have to wait for ages for them to come through the post - which is a bonus! The first I tried out was the 5 DETOX Charcoal Cleansing Pore Strips. I was very impressed with the easy application and as soon as I walked downstairs, after I had taken it off, my mum and sister and they heard about how impressed I was, they wanted a try. Well I wasn't going to use up all five by myself so I though 'why not?'. All they had to say were praises. The pore strips remove blackheads and skin impurities so when I peeled it off it was very satisfying. Unlike previous pore strips that I had tried, blackheads were covering it. It left my nose smooth and clean - which is great as that it wear I suffer from oils and blackheads the most. I left it a little while before I tired the DETOX Charcoal Peel-off Face mask. I had a little difficulty opening it but had lots of fun applying it - I just love face masks so much! I applied it in my T-zone area, where more blackheads had occurred. It is supposed to minimise the appearance of enlarged pores and remove blackheads and impurities. The mask dried relatively quickly and I had the satisfying job of peeling it all off in one go (which, may I add, is a new life achievement!) Once it was off, I was content with how soft my skin was, I actually went around the household and made them all touch the area where I had been wearing it (lol). So naturally, my sister had to give it a try...lets say she used it more than me! 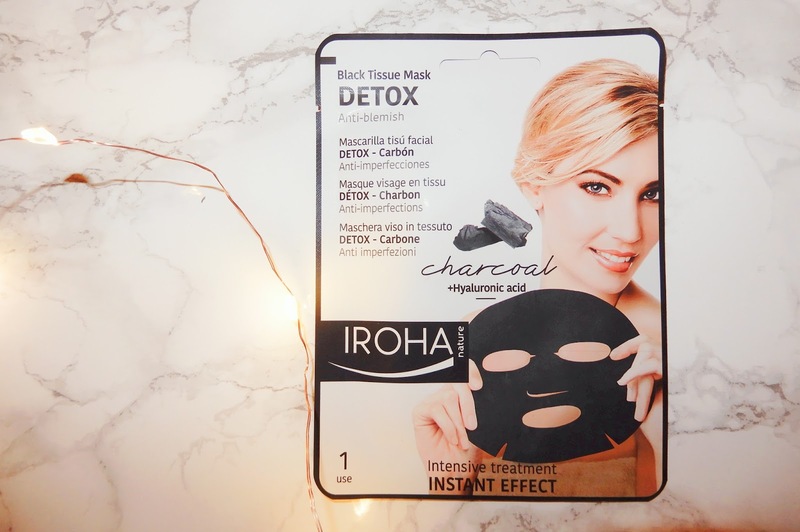 The third product is the DETOX Charcoal Black Tissue Mask. This is meant to detoxify and purify the skin as well as refresh it to have softer and brighter skin. It contains a charcoal serum, hyaluronic acid and fruit extracts. Now I can't say much about this mask as I am going to let one of you have it. I will be hosting a GIVEAWAY soon and this product will be one of the pries up for grabs. Keep an eye out on my Twitter for the giveaway and all it's details! 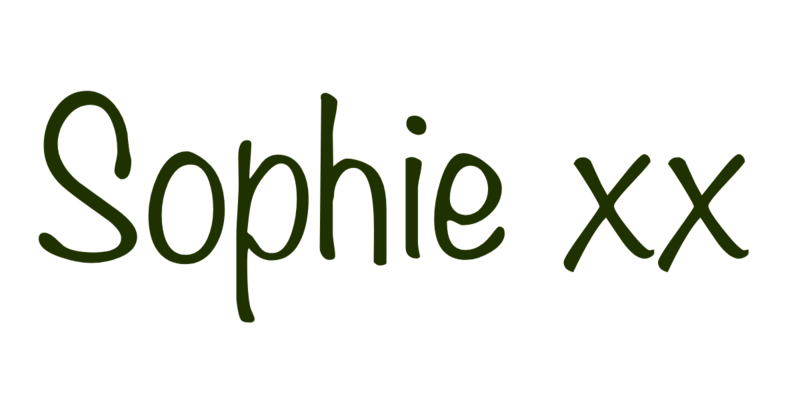 You should definitely enter and go out and try IROHA Nature because they are fab! These products were sent to me, courtesy of IROHA Nature, for reviewing purposes. I have never heard of this brand before, but it looks good! I will definitely be entering your giveaway! I want to try these products!! !